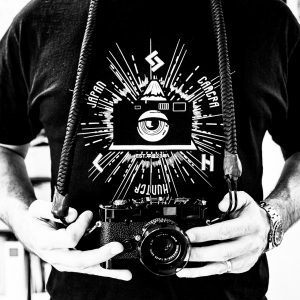 Guillermo shows us how he balances AF/MF and 35/50mm lenses in a minimal yet handsome kit. My name is Guillermo and I’m a spanish guy who lives in Germany, works in Holland and travels the world every chance he gets. I’m also a film amateur photographer and a pizza enthusiast. My father was the one that put a camera around my neck for the first time. More precisely, a goofy Fisher Price plastic toy camera with a double viewfinder so you could just chug your face in it, both eyes open. After a whole bunch of disposable cameras for summer camps, he thought it was a good idea to pass on his old Zenit-E to me. He bought the camera end of the 80s from a Russian tourist for about 3€ (500 pesetas back then – old spanish currency) – inflation corrected: still dead cheap. When he handed it to me, he said “well it’s not a Leica, but this is where you start and how you learn”. And I went through high school with it. I still own the camera, has a Helios 2/58 which is a somewhat weird focal length, but that I believe made me the 50mm lenses fan I am today (yeah I know, that’s a L35AF in the picture, let me come to that later!). When I turned 18, he bought me the Nikon D60 I still have for, mostly, “scanning” medium format film. And so I went through university, got a job, saved some money, bought a Leica M3, flew back to Spain and put it in my father’s hands, film loaded. That was when he hold a Leica in his hands for the first time and I can’t tell for sure who of the two was happier at that moment. So yes, that’s my weapon of choice: a Leica M3, with a Jupiter-8 LTM on it (because well, I’m still saving for that ‘cron 2/50). I was quite sceptical on that russian cheap lens that proved me wrong and convinced me 36 frames afterwards. As there’s really not a lot more to say about the M3 that hasn’t been said yet and I promised myself not to write the word “butter” more than once here, I’ll just say that it’s almost scary how fast you get used to the camera, particularly with a 50mm lens if you are into them. I expected it to be this constant sunny16-fueled struggle to get the shots right but I actually have to think almost as little as I have to do with… my second everyday camera! the Nikon L35AF. Small, black, japanese autofocus beast. With a quite decently sharp 35mm lens (yep, I know), integrated flash and featuring amazingly loud robotic sounds, this is my “i just want to take a quick picture of this” camera to carry around at all times. 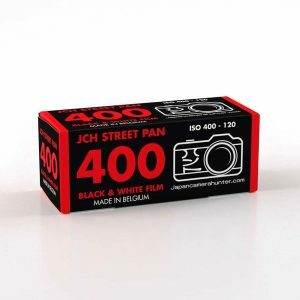 Makes for a very nice combo with the M3 (35 and 50mm) as I also load B/W in the Leica and colour film in the Nikon. Let’s talk about film election for a bit. Some time ago I finally decided to jump into bulk loading and bought 180 meters of expired Kodak TMax 400 of which around 140 are still chilling in my fridge. The reason behind this was that I was shooting more and more film and even though I wanted to try new film and support new emulsions, price per frame prevailed (because again, that summicron is not going to buy itself). 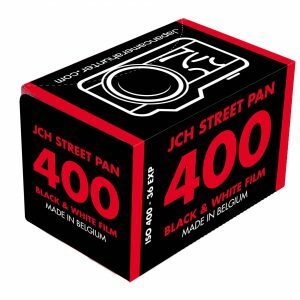 Shooting bulk has allowed me to, first, get consistent results (I develop my own B/W and C41) and to do it in a faster way, and secondly, to reinvest part of the money I save by doing that in supporting and trying new emulsions (as this JCH Street Pan thing in the picture that everyone seems to be talking about for some reason). 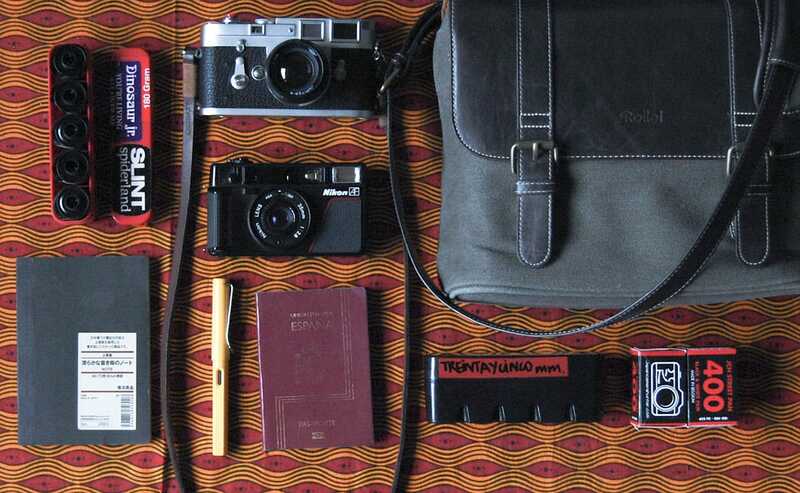 Also in the picture: my battered passport, a yellow Lamy Safari fountain pen, a japanese small note book where I pretend I track down light conditions/field notes and two of those plastic film cases someone brought back to life in Japan and shipped to the rest of the world. I´ll be saying goodbye for now, but before I want to thank the readers, the awesome community and Bellamy for keeping this site up! And please, keep on taking pictures (on film, preferrably). Share your passion with the people you love. Inspire them and let them inspire you. 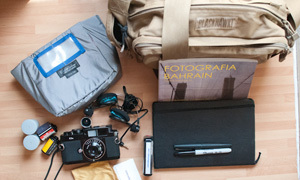 Thank you Guillermo sharing your bag shot as well as the lovely story about the M3. 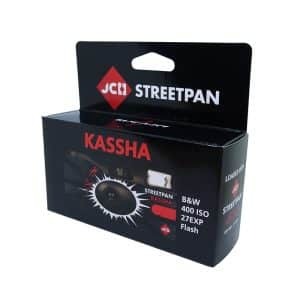 Happy shooting to you too! 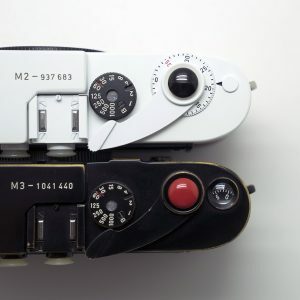 Guillermo, I can’t afford a Leica M3 (yet), but I DO own a yellow Lamy Safari fountain pen just like you, and I am also a pizza enthusiast. Perhaps we are long lost brothers. I greatly enjoyed your story! Save for that M3 (or an M2 if you’re a 35mm guy or aren’t super sure about the 50mm). Yellow Lamy Safari and pizza are the greatest on earth, brother. Thanks a lot for your comment! great story. 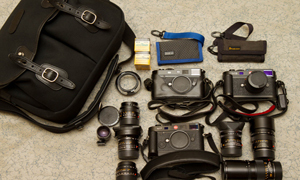 I´m from Barcelona and now I live in south germany…and hier the fleamarks are amazing, but no so gut to find a good Leica. I´ve just saw your instagram and i´ll follow you.